Here are the last two projects of my first year at the Florence Academy. I entered the drawing and painting program at the Florence Academy because I wanted to delve into the western tradition of representational drawing. I’d say, definitely, mission accomplished. It’s been a great year, and God willing, I’ll be back in the fall to continue the 3 year program. 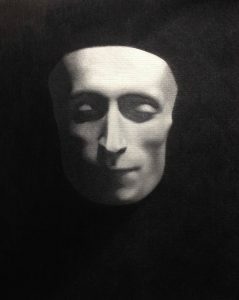 The death mask pictured above is the 2nd of my cast drawings. Giacomo Leopardi was an Italian poet who died in the mid 1800’s. A cast drawing is exactly what it sounds like – a drawing of a cast. Here is my set-up. The plaster cast of the death mask is on the left and my drawing on the right. I draw the cast at exactly the same size as I see it. Drawing a plaster cast allows me to learn to draw from life (as opposed to copying other drawing) without the added complication of color. This lets me explore values (black, white, and everything in between) as they communicate 3-dimensional form to the eye. 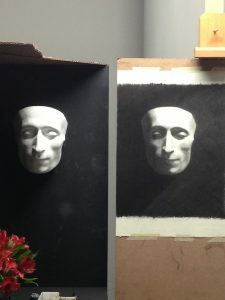 Light effect, hard and soft edges, contours, changing planes, different kinds of shadows – these are all things contribute to the appearance of the mask and require different techniques and perspectives to render. What I particularly learned from this cast drawing project was how much information can be communicated by large, simple shapes. However, the subtle details of these shapes must be rendered with precision. Very small changes in shapes and values can make a big different in visual impression – especially when dealing with the human face. The figure drawing of Desi was a five week pose. This pose with the light hitting the figure from the side allowed me to investigate the play of light along the anatomy of the back. 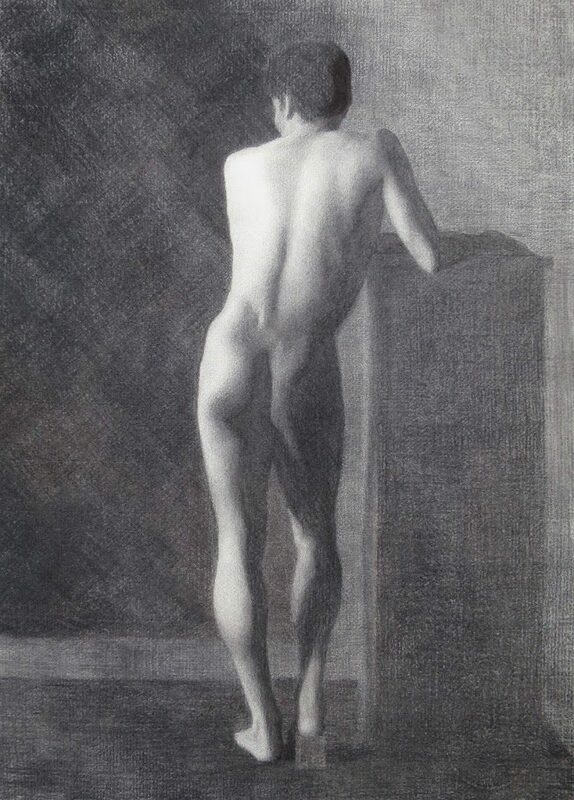 Stephen, my anatomy instructor, says that one of the reasons we study the human figure as artists is that the shapes made by the anatomy of the human body as it interacts with light and shadow are so beautiful. 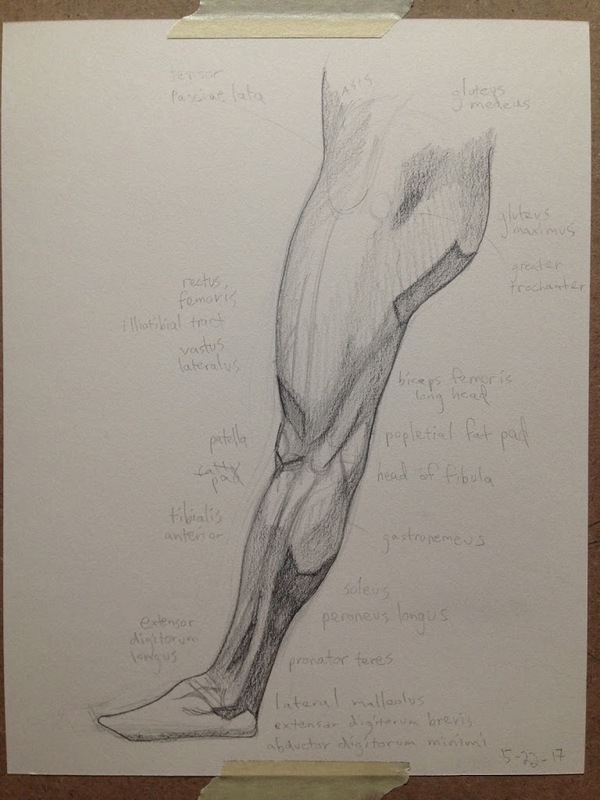 Here is one of the anatomical drawings I made during the year that illustrates the idea of shapes created by anatomy.